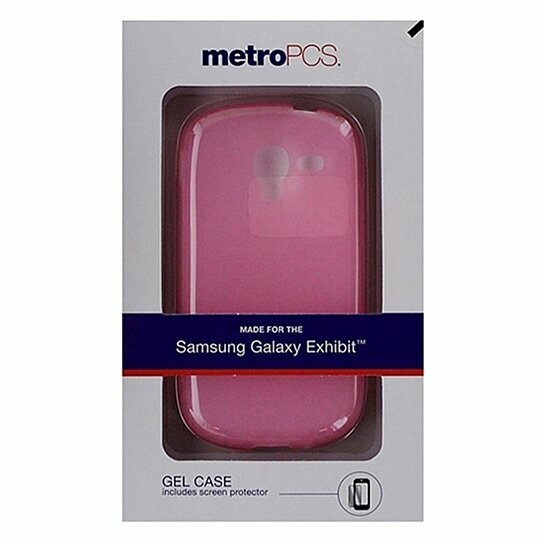 MetroPCS products, Flexible Gel Case made for the Samsung Galaxy Exhibit. Plain light pink finish with a geometric pattern design. Screen protector included.